Paper.li uses natural language processing, machine learning and social signals to analyse and extract the most relevant and engaging stories from social media and the web. 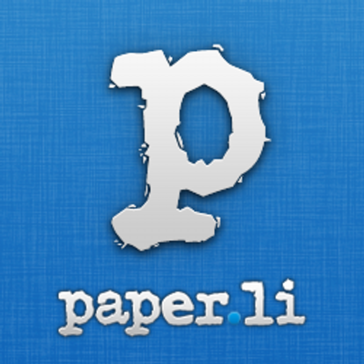 "Paper.li great for aggregating theme related news and content"
I had a free Paper.li account for a year, and liked the way it aggregated news from competitors in a particular niche. But then I realised this would be useful to sales and marketing folk across my industry. So I upgraded to Professional and created http://low-code-daily.com Very easy to do. I had a few questions for the Paper.li help desk and found them excellent. It was refreshing to deal with a support person that really read, understood and answered each question, instead of wasting my time with poorly thought through responses. Every issue dealt with same day by Julia who is excellent! They even went the extra mile by customising some CSS to improve how my header looked on mobile. The result - I now have automated daily topical tweets that my followers seem to appreciate. Followers growing daily. Linkedin likewise. And its led to new business inquiries as well. I can edit the news headlines, add and remove specific articles incredibly quickly. I've been able to refine the articles I aggregate simply by building a Twitter list and "training" Paper.li's search bot with about eight keywords. Its a news / social media aggregator, so its not for everyone. If you want to focus on just your company's original content this is not the way to go. Having said that I can seed my own blogs posts and Linkedin articles into the news mix with just 2 clicks. Struggled with the banner heading as I didn't like the default font and wanted 2 text colours. But Paper.li support overcame that issue by tweaking the CSS code for me. Beyond the call. Thank you! Its a simple product and quick to set-up. Just be clear who's content you're seeking to promote. If just your own original content this is probably not the way to go. Creating a useful social media output facility, that is generating followers and click throughs to my website. "Great for curating Brand mentions and archiving Twitter chats"
I've been Paper.li earlier adopter and I know they have gone a long way and I love what they have done. With such a simple idea behind it, you can actually use it for lots of purposes: Automatically curate content using a hashtag, curate media, engage your community to contribute, curate (and publicize) your business social media testimonials. You can even hook it up to your Mailchimp account and use it for lead generation. The support is very good as well: They helped me customize the look of my paper completely for free. They have recently launched responsive themes too. They need to be doing a better job at showcasing how their features can be used. Most users don't see the potential. I think they need more user cases showing different ways brands are using the papers to promote their online presence. It has a very good free offering: No risks involved. I'd highly recommend to register an account, browse around and set up at least one paper to see where it can be useful. If you run Twitter chats, Paper.li is a must to document each one. Paper.li automates curation: You set up it once and then it rolls on its own notifying the paper followers of the most recent updates (and even mentioning them in the tweets). It's a good way to grow your brand exposure on auto-pilot. What Content Creation solution do you use? Pulls content based off criteria relevant to your business offerings. Can add sources, keywords, etc. to refine the type of curated content. Can be a little cumbersome looking. The free features limit the design and ease of use. The ads are a little annoying for people visiting the paper's page. Curated content that's super easy to pull from. The automatic tweeting of the issues is nice and adds to engagement online. "Paper.li is little more than a basic curator "
I used paper.li as an automated service to post repurposed content to my followers on Twitter. If you set new content to be delivered every day, it does exactly that. There's no original content within the paper.li system. You're only reposting other users' content. If you're trying to appear to be an expert in a certain industry, circulating poorly edited content is not the way to go. If you're searching for custom content, I would turn to an agency or Skyword or Scripted or Content Quotes. If you're just trying to circulate content that already exists, then paper.li will meet your needs. I was searching for a new tool to generate content inexpensively on our social media profiles. Paper.li was not successful in filling that need. You can curate a paper automatically, or if you pay control it's content in depth. It autoshares to your network and engages the people it pulled articles from. Not much control over free version. You get a lot more featured and control if you need it with an upgrade. I would uses the pay version if you want to establish a serious news or paper. But it is worth it either way. It gave me free exposure and helped me network with people in my field on twitter! The benefits were more following and interactions. Keeps my Twitter active/reaches clients. Make sure to occasionally refine and manage your settings to keep things on track. Some Twitter users use management software that automatically unfollows inactive accounts. This makes sure I’m never inactive for more than a couple of days. Plus the content engages clients & fellow businesses. "I loved it when it first came out but don't find it useful now"
The user experience is great. It's super easy to set up and very streamlined. I think it's lacking in content sources and doesn't have much benefit to the end-user. I wanted to be able to curate content for followers but I felt like this publishing tool was not really worth it for me or my audience. "A functional, effective content curator"
It can be super simple to select, collate and present a variety of content pieces via a customizable online paper format. Sharing via social requires a lot of customization to not appear spammy. I've seen far too many instances of people creating a basic Paper.li page and spamming their social networks everytime something is posted. From a curation standpoint, it helps to collect information. Some of our employees have tried this to create their own personalized accounts and build thoughts leadership. "Paper.li is a simple way to curate content." The simplicity of using the service to curate from different sources. At times irrelevant links will slip through. Take care when choosing where to curate from. Can provide additional value to followers on your social channels. I like the fact that it's super easy to create and publish an online news desk (or newspaper) of both curated and original content. The layout isn't the "sexiest," but it's definitely more functional. I've used paper.li for quick curation of topic-specific content. It's an easy tactic for PR + comms pros to get influencers to notice you. The ability to gather keyword-relevant news of the day. The inability to preview paper before it is posted. Increasing our social media outreach by connecting with others and getting in on the conversation. * We monitor all Paper.li reviews to prevent fraudulent reviews and keep review quality high. We do not post reviews by company employees or direct competitors. Validated reviews require the user to submit a screenshot of the product containing their user ID, in order to verify a user is an actual user of the product. Hi there! Are you looking to implement a solution like Paper.li?